Police have released CCTV footage of three men they want to speak to in connection with an assault in a bar in Sussex. According to police, a 22-year-old man from Worthing was injured in the attack in Bar Ten, in High Street, Worthing at around 12.20am on Saturday, December 3. 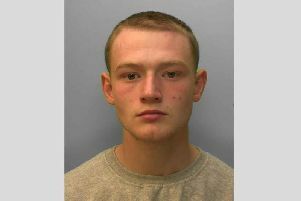 He was initially taken to Worthing Hospital for treatment on a suspected broken nose, but it later became clear that the injuries were more severe than first thought and he was taken to Portsmouth Hospital for an operation to remove a blood clot, police confirmed. Police are seeking to identify three men who were in the High Street bar at that time. They left the bar after the incident, but it is not known in which direction. Anyone who witnessed the incident or who recognises any of the men on the video is asked to email 101@sussex.pnn.police.uk or call 101 quoting reference 47160166670. Alternatively, you can contact the independent charity Crimestoppers anonymously on 0800 555 111.